The 1st match of Celebrity Cricket League 2015 is to be played between Mumbai Heroes and Veer Marathi and Colors TV will broadcast the match live in India and out of India. 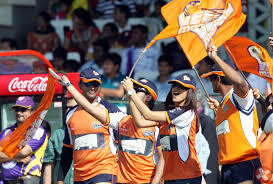 Rishtey TV is also going to broadcast the 1st T20 match between Mumbai Heroes and Veer Marathi. The 1st match of Celebrity Cricket League 2015 is scheduled to be played between Mumbai Heroes and Veer Marathi on 10th January, 2015. This match is being played at Brabourne Cricket Stadium; this is the 1st match of the event as well as both the teams will meet for the first time in the CCL season 5. Mumbai Heroes being led by Bobby Deol and on the counter side, Veer Marathi is having Riteish Deshmukh as the skipper of the team. Bobby Deol, the newly appointed captain of Mumbai Heroes is going to play an aggressive cricket due to opposition team, who is Veer Marathi and there is a strong combination between Mumbai Heroes and Veer Marathi.